Alison is a graduate of Trinity College of Music & postgraduate of City, University of London. As part of the university’s Erasmus scheme, she was seconded to the Ensemble Intercontemporain, Paris, to work in their touring department. Following jobs at Virgin and the London Philharmonic Orchestra, Alison joined Harold Holt in 1996. Keeper of two Jack Russells; lover of big skies, Pol Roger and pottering in her shed; keen gardener, walker and camper-vanner. After graduating from the University of Southampton with a BA in Music, Caroline was offered a scholarship at The Royal Academy of Music to complete a PG Diploma (Bassoon performance). She pursued a freelance career for several years before joining the travel department at Askonas Holt in 2007. Outside of work Caroline enjoys playing Principal Bassoon with the Croydon Symphony Orchestra and spending time with her husband and two lovely, young daughters. Ella trained as a pianist at the Royal Birmingham Conservatoire, exploring both solo and collaborative performance, and taught piano privately alongside her studies. After graduating with a First Class Honours in 2017, she continued her performance studies for another year while working in the Events Team as Assistant to the Director of Venues. 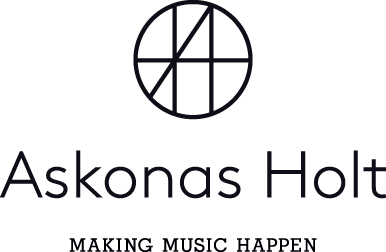 Deciding to pursue a career in Arts Management, Ella joined the team at Askonas Holt as an Artist Administrator in September 2018. She loves travelling, documentaries, cats, and a (suitably strong) G&T. Originally from Dublin, June studied Geography and Tourism. Widely travelled with many years experience in the hospitality/customer relations industry, June joined Harold Holt on the foreign travel desk. Calm, resourceful and knowledgeable, she quickly moved to the position of Manager, leading the newly formed travel department at Askonas Holt, which is now an extremely busy group of five. June’s hobbies include enjoying new music in far flung destinations, more recently Cuba and Sri Lanka. She is also an avid reader, wine taster and enjoys long walks – preferably on the beach.